Author: John Roberts, published by the Christadelphian (CMPA) in 2014. 118 pages, soft cover. There are two things that this book is not! It is not a commentary on the book of Job. It does not set out to deal with every verse of the Scripture record, nor to offer a comprehensive exposition of each part. It follows the sequence of the book of Job in a way that, it is hoped, will be helpful to those wishing to conduct their own study of the book. Secondly, this Study Guide is not a book about suffering. Inevitably, it has a great deal to say about the sufferings of Job and, as such, it is hoped that some of its pages may be helpful to some of those who suffer. However, it is not within the scope of this book to deal with the many different forms of suffering that people today experience. 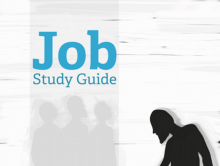 The book of Job is not an ‘easy-read’. For those using the Bible Companion for daily Bible reading, it takes almost the whole of December (thirty days) to read. “All Scripture is given by inspiration of God and is profitable …” (2 Timothy 3:16), but there are some books to which one looks forward less than others. Yet the book of Job has lessons beyond compare. Its value in the Scriptures cannot be over-estimated. Its rich vein of lessons amply repays the patience and perseverance spent on it. 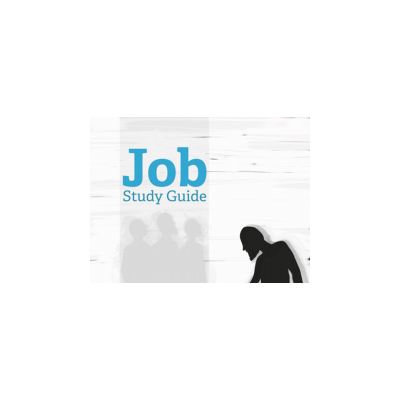 This Study Guide aims to offer a few suggestions that may help to make reading the book of Job more fulfilling. Read a review of this book by Andrew Bramhill.